North Dakota Oil Field Accident Attorney | Larson Law Firm P.C. The oil boom in North Dakota has made it possible for many hard-working people to obtain high paying jobs by working in the oil and gas extraction industry. However, for many oil field workers, these financial gains come with a steep price. There has been a significant increase in the number of oil field injuries and related fatal deaths, affecting all workers in the industry, including drivers, welders and derrick workers using hoists and cranes. When North Dakota oil field workers are injured in the patch, the injury lawyers of Larson Law Firm P.C. advocate to secure the benefits they are entitled to receive. If you or a loved one was injured in an oil field accident, contact the firm with a proven commitment to the oil workers of North Dakota. Oil and gas extraction is a major part of the North Dakota economy, with more than 14,000 wells reportedly operating throughout the state in 2016. We have the second largest oil reserve in the United States, and along with Texas, our state accounts for half of the crude oil production in the country. Oil rig collapses. These structures are built to withstand the elements and the pressure of the oil. However, poor design, construction or maintenance can lead to rig collapses. An oil field worker may become pinned under warped metal from the derrick or a broken piece from the rig could strike a worker in the head causing serious brain injuries. Site explosions and fires. One of the most dangerous aspects of working in an oil field is the constant risk of fire. Oil is highly flammable and explosive. When a spark hits oil, the effect can be instantaneous, leading to a dangerous explosion. An oil fire can be extremely difficult to put out, as the oil from the well continues to feed fuel to the fire. In the meantime, any nearby oil field workers are at risk of serious injury. Blow outs. Built-up pressure from the underground reservoir can force oil and gases up the well with enough force to damage the drilling rig and cause serious injuries to nearby roughnecks, drillers, derrick hands and other workers. Blowouts have also been known to cause fatalities. Oil derrick falls. There are many, many reasons why a worker can fall off of a derrick. If the reason you or your loved one fell is the negligence of another operator, employee or supervisor, you may be entitled to compensation. Pipeline accidents. With more than 2.5 million miles of pipelines running through the U.S., there is always a chance of a toxic spill, a worksite injury or an explosion. We uphold the rights of oil field workers injured in pipeline-related accidents. Oil service truck accidents. The prevalence of construction and tractor trailer trucks create a significant risk for vehicle accidents. These specialized vehicles are designed to haul heavy equipment used in the mining industry. An accident with these trucks can cause serious injuries for everyone involved. Amputations. The violent nature of an oil field explosion or blowout can lead to the amputation of a worker’s limbs. Crushed limbs may also need to be amputated. Crush injuries. Falling equipment and pieces from oil derricks can strike and trap a worker underneath. The force from this type of injury can also crush one or more parts of the worker’s body. Intense pressure from leaks can also lead to crushing injuries, as can truck backup accidents. Burns. Oil field fires and explosions can result from negligent operations, defective equipment, poorly maintained pipelines, or the negligence of your coworkers. A lightning strike or other act of nature can also cause a fire. These dangerous incidents can lead to severe, disfiguring burns. Breaks and fractures. Falls, slips, and trips can all lead to falls. Oil and gas make surfaces slippery, and without the right safety equipment, you could easily break an arm or leg. You can also sustain a fracture if too much pressure builds up behind a stuck valve you’re trying to open. Head injuries. Trauma to the head from falling objects or flying debris during an explosion can lead to long term head injuries. Traumatic brain injuries can cause loss of memory, cognitive difficulties and rapid degeneration of the brain. Neck and back injuries. These injuries are also commonly associated with the intense labor required for oil field jobs. You could end up in chronic pain from repetitive stress injuries, or slipped discs. The most serious incidents can result in permanent paralysis. Wrongful deaths.Oil and gas work is some of the most dangerous work there is, with some of the highest averages for fatalities. Oil and gas extraction workers are killed on the job at a rate seven times greater than the fatality rate for all other U.S. industries. An official AFL-CIO report stated that the fatality rate for North Dakota’s oil and gas extraction sector is approximately 84.7 deaths per 100,000 workers, which is a disturbing seven times the national industry fatality rate. Toxic fumes and chemical exposure. Dangerous fumes are common among oil fields, including crystalline silica and other types of fumes. Breathing in these fumes can have lasting impact on your health and wellbeing. Constant exposure to the chemicals used in such oil extraction techniques as hydraulic fracturing can have long term neurological and respiratory effects. 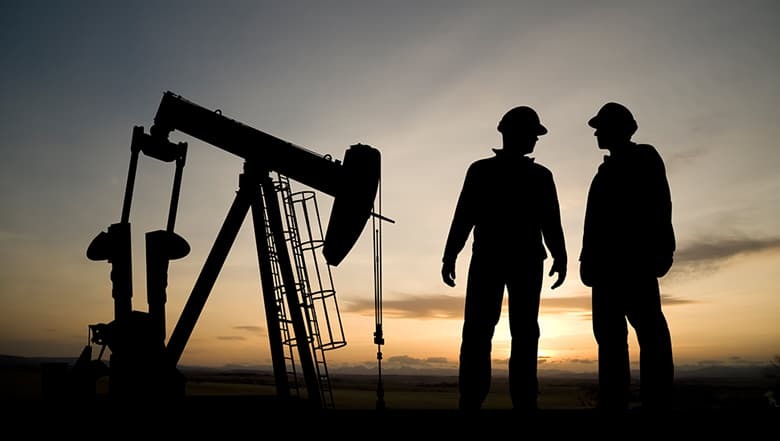 Our experienced North Dakota oil field accident attorneys have a proven track record of helping injured oil rig workers secure compensation for their injuries. We have the resources to thoroughly investigate these accidents to determine the cause and all responsible parties. While hydraulic fracturing has created a huge number of jobs, the occupation can be extremely hazardous for workers. There is the potential for motor vehicle accidents when trucks deliver water, silica sand, and chemical additives. Workers could get caught in a fire or explosion, which may cause burns or even death. You are also exposed to particles of silica sand in the air that may be hazardous to breathe in. Finally, workers may come in contact with a variety of potentially hazardous chemicals. All chemicals must be handled and transported properly. One small misstep may lead to life-threatening illnesses and injuries. Our North Dakota fracking lawyers help anyone injured on or near a fracking site. With our client-centered approach to the provision of legal services, the attorneys of Larson Law Firm, P.C. make ourselves available to meet your legal needs quickly and effectively. You are welcome to come in for a face-to-face consultation or to speak with us by telephone. If you are suffering from severe injuries, our compassionate North Dakota oil field injury lawyers will come to your home or the hospital to answer your questions. Contact us without delay to schedule a free consultation or call us at 701-484-HURT. From our office in Minot, we are proud to represent clients throughout Ward, Williams, McKenzie, Pierce and Mountrail Counties.